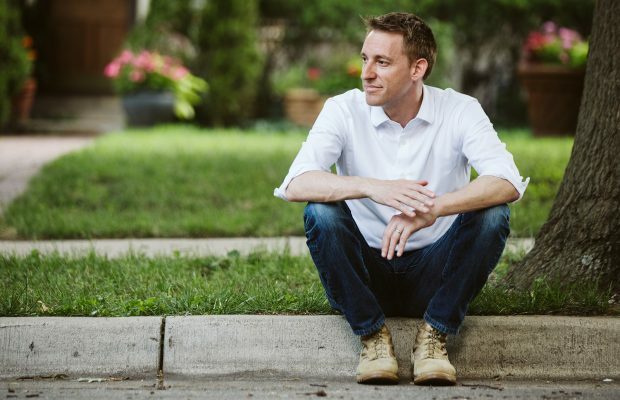 Jason Kander is best known for sending a wave through the nation with a 2016 campaign ad in which he assembled his rifle blindfolded. He has celebrity support from the likes of Kristen Bell, Olivia Wilde and KC native Jason Sudeikis. He has published a book and is frequently featured as a political commentator on CNN. Now, he has his sight set on running for mayor in Kansas City. One of the Democratic Party’s rising stars, Kander announced he was running for mayor of Kansas City on June 25. The announcement took many by surprise, since he was rumored to be gearing up for a 2020 campaign for president. “I hadn’t paid too much attention to him before, or politics in general, but I looked up more about him once I stumbled across Kristen Bell’s post on Instagram about his book,” said senior communication studies student, Emma Woodson. Kander’s book, “Outside the Wire: Ten Lessons I’ve Learned in Everyday Courage,” details many of the lessons he’s learned, including those from his time serving in the Afghan War. Many UMKC students are familiar with Kander’s military service, as well as his past with Missouri’s state government. Falco is aware of Kander’s popularity, but he isn’t exactly sure what he would want for mayor of Kansas City. Other UMKC students have supported Kander from the beginning. Kander is in a competitive race for mayor, with eight other candidates in the mix. His name is undoubtedly the most recognizable, however, a fact that some students think will give him an upper hand. Although he has garnered some celebrity through his past in politics and rise within the Democratic Party, students have not forgotten the issues he is running on. It is likely that Kander’s star power will continue to grow. Regardless of whether he wins Kansas City’s mayoral office in June 2019, his supporters still think he could end up in the Oval Office someday. Time will only tell how far Kander will go in serving his country. He has served in war and the Missouri legislature, now the question is if he will serve as Mayor of Kansas City. Clay Chastain, who is a conservative and independent-minded, is also an announced mayoral candidate. Why don’t you be balanced and do some commentary on him? P.s. he is probably the only one who has a chance to beat kander.